Hi and welcome to Melanie Besaw Photography! I'm Melanie Besaw and am thrilled that you are visiting my site! 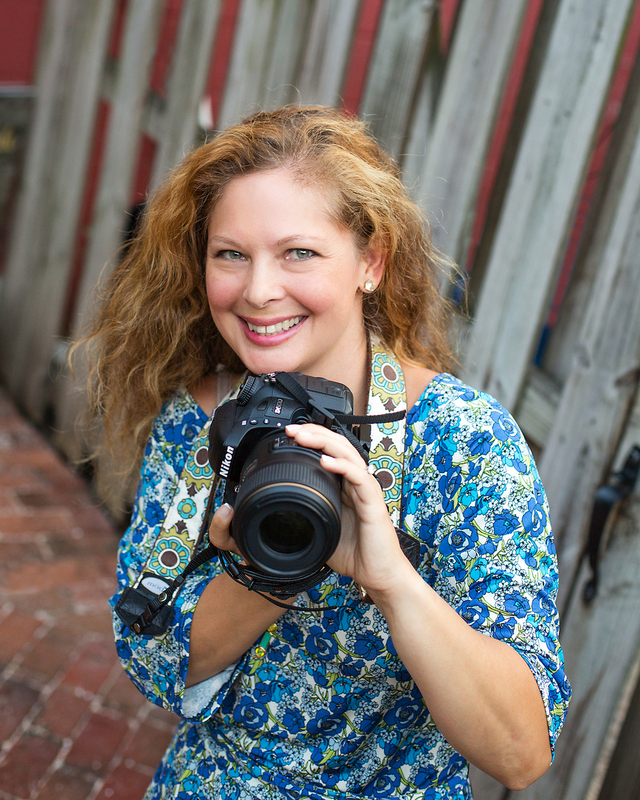 I am a natural light photographer born and raised in rural northern NY and now live in Reston, VA with my husband, five year old twin boys, and two fur-babies (a geriatric cat and an adorable puppy!). I moved to the metro DC area after graduating from St. Lawrence University, where I majored in French and Education. While I was in school, I spent a year abroad in France, where I took over 60 rolls of film photographs! I still love pouring over my albums to this day. I have always been passionate about photography. My grandfather was a very enthusiastic hobbyist and we spent a great deal of time during my childhood discussing techniques, film, gear, and what makes a photograph work or not work. He was very special to me and he gave me my first camera when I was 9 years old. I picked up my first DSLR camera shortly after my boys were born and I am always pushing to improve and learn. You will typically find me spending my free time taking a photography workshop on lighting, reading a book on composition, or watching videos on technique. I quickly discovered that capturing moments, smiles, laughter and overall emotion make my heart soar. Along with that came a desire to capture these memories for others, giving them the gift of transporting back to a specific moment, smile, mannerism, or feeling. Books: I am an avid reader. There is nothing like hearing the crack of a book opening for the first time and becoming immersed in a different universe. One of my favorite websites is www.goodreads.com. If you need a good recommendation, this is the go to site. You will find recommendations, reviews, interviews with authors, and like minded friends. I’m always on the lookout for a good book. If you have any suggestions, please send them my way! Travel: I love to travel and explore. I haven’t had many opportunities recently as I have little guys at home, but my husband and I love to explore. Some of my favorite adventures lie in Costa Rican beaches, Inca trails in Peru, swimming with stingrays in Grand Cayman, visiting lochs and glens in the highlands of Scotland and exploring chateaus in the Loire valley. My bucket list includes going on safari, sipping a cocktail on the beach in Bora Bora, checking out the Taj Mahal, learning to surf in Australia, kissing the Blarney Stone and taking workshops with some photographers that I greatly admire. Every photographer has their own style and I hope mine speaks to you. Should you desire family or newborn photos, an engagement session, or capturing moments with your little ones, I look forward to catching these precious memories for you. Please contact me to set up your photography session!